Laura Graves / Verdades (Photo: Susan Stickle). 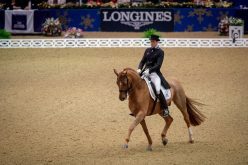 Laura Graves (USA) and Verdades, 2016 Rio Olympic Games bronze medalists, took their second victory gallop of the 2017 season in the “Friday Night Stars” FEI Grand Prix Freestyle CDI-W, presented by U.S. PRE Association, at the Adequan® Global Dressage Festival (AGDF) on Friday (27/02). 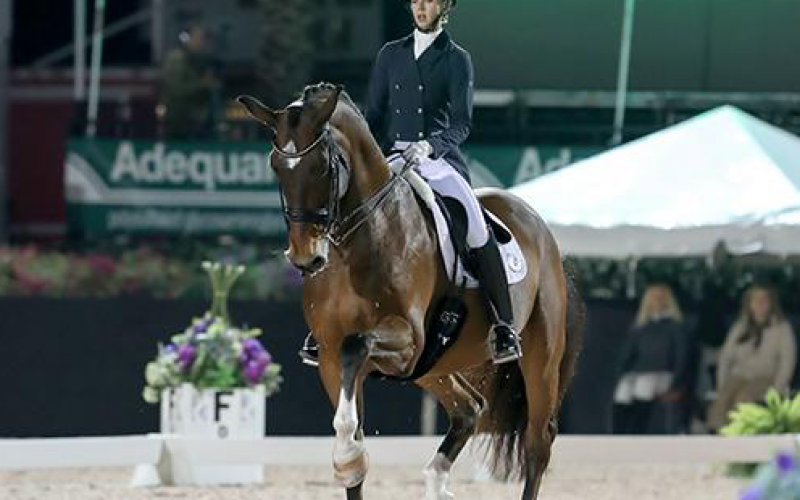 Laura Graves (USA) and her 2016 Rio Olympic Games mount, Verdades, a 2002 Dutch Warmblood gelding (Florett AS x Liwilarda) owned by Graves, topped the leader board once again tonight, with a show stopping performance and a score of 80.728%. Graves’ and Verdades’ performance marks the sixth time that a score of 80% or above has been recorded at AGDF, and the pair holds three of those scores. 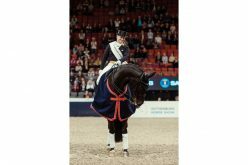 “This horse has a heart of gold, and he loves to come out here. There is nothing that I can really take credit for. 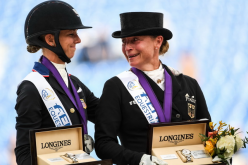 I’d like to say that he was born this way and maybe I’ve nurtured it or not taken it out of him, but he’s just a magical character,” said Graves, who also won yesterday’s FEI Grand Prix CDI-W, presented by Yeguada de Ymas, as well as Friday night’s Owner and Groom Awards. 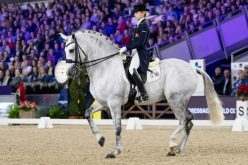 The second place finish of the night was awarded to Tinne Vilhelmson Silfvén (SWE) and her mount Paridon Magi, a 2003 Swedish Warmblood gelding (Don Primero x Napoli x Napoleon 625) owned by Lövsta Stuteri, with a 77.517%. 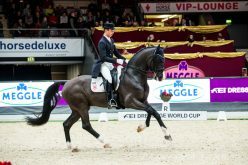 Arlene “Tuny” Page (USA) and Woodstock, a 2003 Dutch Warmblood gelding (Havel x Mirania) owned by Page, rounded out the top three with a score of 74.020%. Page echoed Graves’ appreciation for the current state of competition. 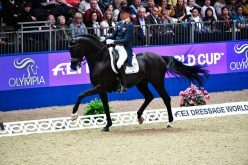 “Without this organization (at AGDF), American dressage would not be where it is today. Being here (at AGDF) has elevated us internationally, like we’ve never been before,” she said. 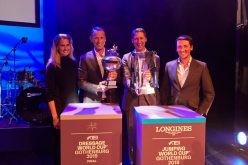 The night also featured a special retirement ceremony for two-time Olympic PRE stallion Grandioso (Adelante x Sevillano IX), owned by Kim Boyer. 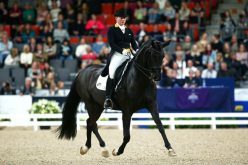 The stallion competed for the Spanish team with rider Daniel Martin Dockx (ESP) at the London Olympics in 2012, and then again at Rio in 2016.